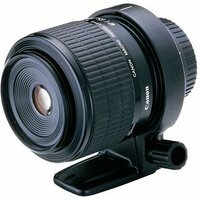 This is the first macro photo lens designed to achieve a high magnification greater than 1x without additional accessories. It is ideal for small subjects. The newly designed optical formula and UD-glass elements suppress chromatic aberrations which become apparent at high magnifications. For macro flash photography, either the MR-14EX or MT-24EX macrolite can be attached to the lens.